Salutations! I’m Penny. 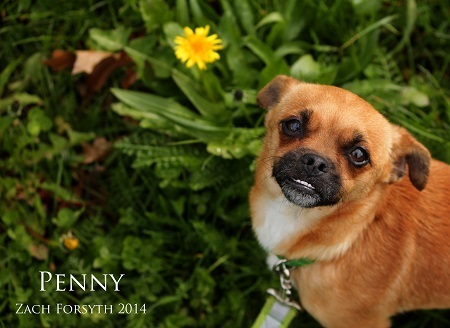 I am a shiny and new copper colored Chihuahua mix, just 3 ½ years old. 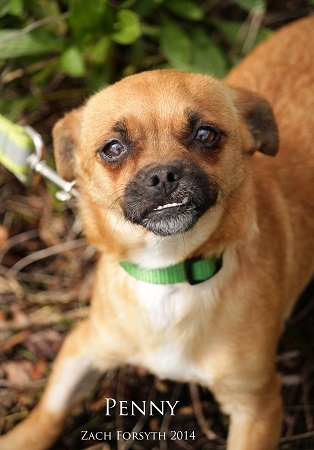 I am loving getting to know the people of Portland who visit The Pixie Project and greeting everyone with my goofy little grin , but what would really and truly make me feel like a lucky Penny would be to find the perfect family looking for a pup like me. I am extra cuddly with my favorite people, do well with kids, and absolutely love being around other animals too! I come spayed, microchipped and current on all vaccines, and my adoption fee is $250. Soo, penny for your thoughts?? If you think you may have room in your pocket for this lucky penny, just fill out an application at pixieproject.org so we can arrange a time to meet!